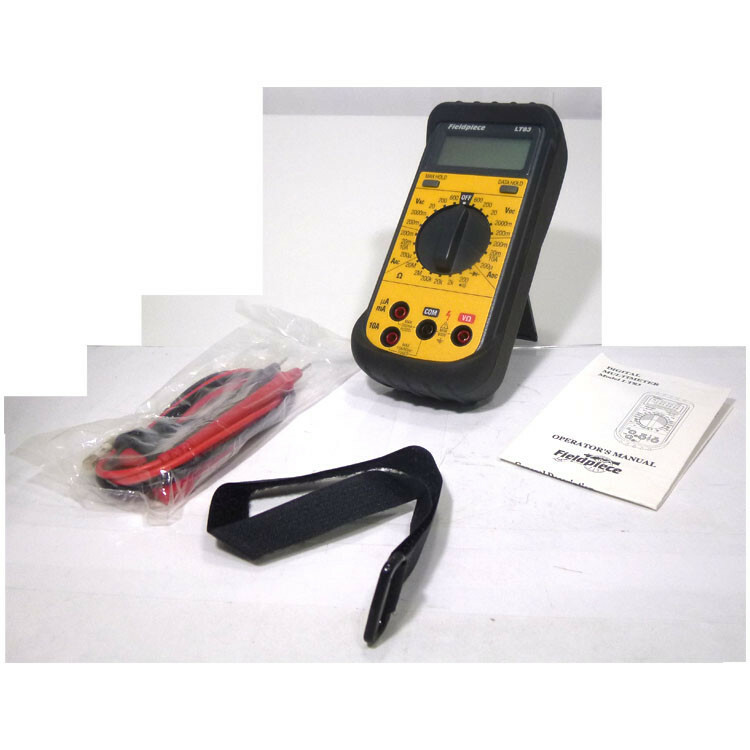 The LT83 is an excellent low cost digital mulitmenter for testing basic electrical parameters, including current, resistance and voltage. The LT83 works with all Fieldpiece accessories when connected with deluxe test leads. The body is made out of durable ABS plastic and comes standard with rubber holster for added shock protection. The rubber holster comes with tilt stand to make it table top ready. 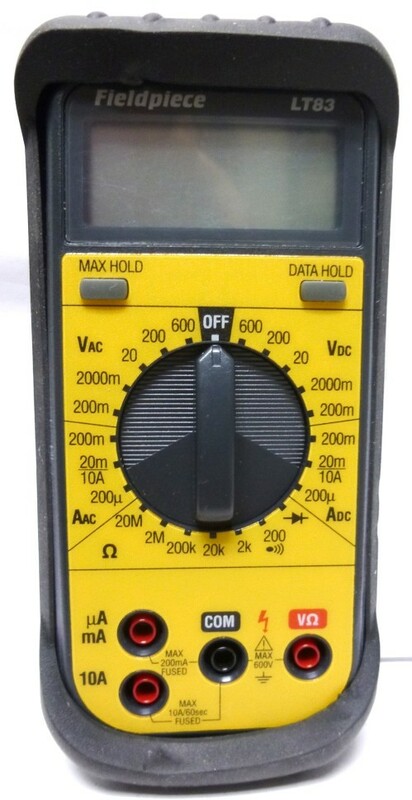 Can use the ACH (AC Current Clamp) to measure AC current up to 300a. The LT83 is NOS mulitmeter. These are New from older production. LImited Quantity Available. Take advantage of great meter at reduced price.